On the ZW Ranch guests enjoy our private, fully furnished, modern two bedroom log cabin. Experience beautiful, mountain views, wildlife, hiking, fishing, nearby hot springs, ghost towns, skiing and snowmobiling. East and west Pioneer Mountains. Creating memories for a lifetime. 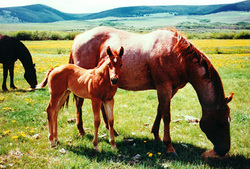 Directions: The ZW Ranch is located 1 1/2 miles south of Polaris, MT. From Interstate 15, take Exit 59 (Jackson/Wisdom exit) which is two miles south of Dillon, Montana. Proceed west 26 miles on Highway 278, turn right at Polaris sign and proceed 4 1/2 miles. We are the first place on the right, past the Polaris School (1/2 mile).